The Cultish Cabs and their invited guests. Since it’s not the clearest picture on this blog, here’s what we tasted (left to right): Whispering Dove Cabernet Oakville 2002, Whispering Dove Cabernet Stag’s Leap 2003, Agharta Syrah (Pax Mahle) 2004, Lail J Daniel Cuvee 1999, Dunn Cabernet Napa 1994, Staglin Family Estate Cabernet 1994, Staglin Family Estate Cabernet 2003, Scarecrow 2006, Chateau d’Yquem 1996, Sine Qua Non Mr K The Nobleman 2002. What follows is more of an experiential tale than a set of proper tasting notes as I spent more time enjoying than note taking while amongst these friends. Classic Napa Cab at it's finest. This particular evening, it was decided that there would be an initial blind tasting, for fun, and after all guests made there guesses, decanters were properly labeled, so everyone would have accurate palate reference. The ’06 Scarecrow and the ’94 Dunn were both the crowd favorites and were the two wines that nearly everyone guessed correctly during blind tasting. As far as I’m concerned, Dunn Cabernet is the classic long lived Napa Cab in the same way that Chateau Haut Brion is the classic Bordeaux. 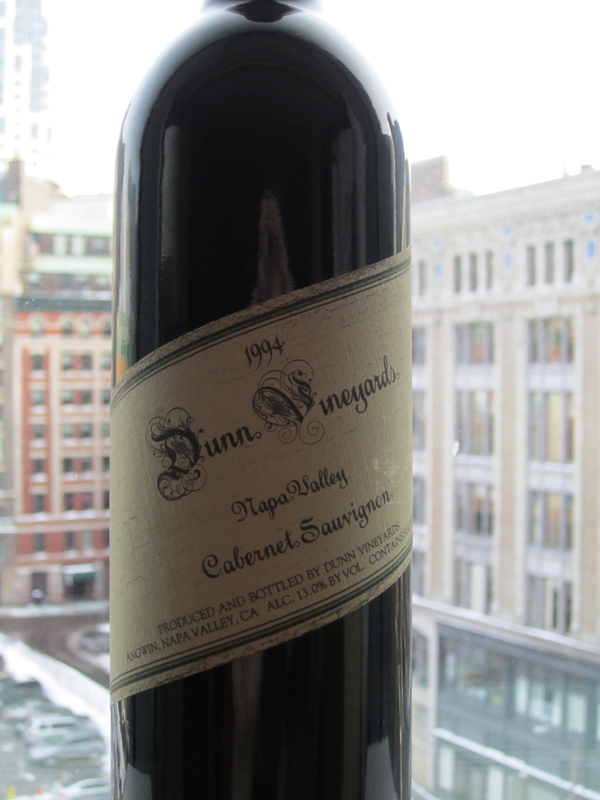 As of this year, Dunn’s ’86 and ’87 Napa Cabs are still drinking quite well, with little sign of their age. This particular ’94 Dunn Napa, while showing beautifully, still has a number of years to improve in bottle, and many left to live. The 2006 Scarecrow, being such a big wine from a recent good vintage (sandwiched in between 2 great vintages), was supple, round, and encompassing. After significant breathing time, it was damn near seamless. There was a waft on the nose and considerable weight on the finish that our host insisted tasted of “vanilla cake”. 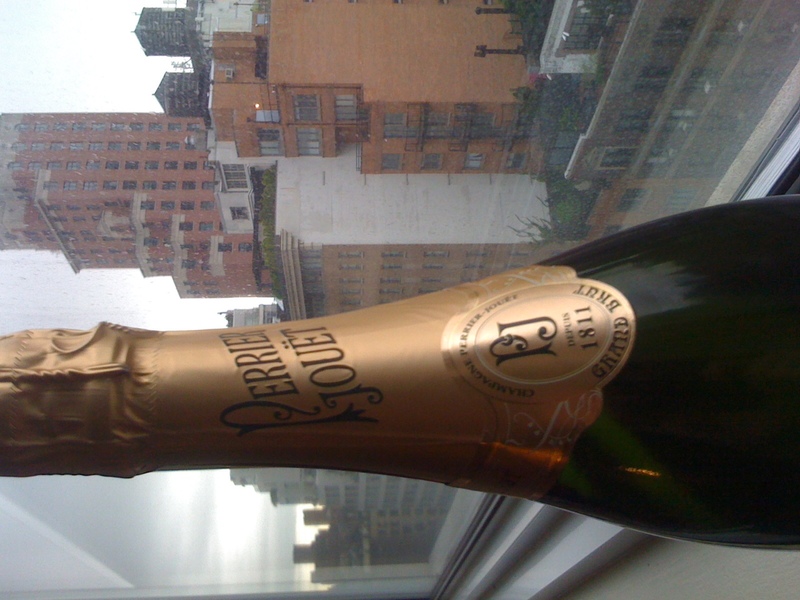 While I experienced no crumbs, the vanilla (rich rather than sweet) character was undeniable and quite stunning. And while I know the price of this wine is relatively high (bordering on absurd), it’s a truly beautiful product, inside and out. Nice juice, not just a clever name. When I was first invited to this tasting, our fearless host expressed his desire to locate a bottle of Screaming Eagle for around $1200, which is next to impossible, making the cost of said Scarecrow seem quite reasonable. To most mortals, Screaming Eagle isn’t a real wine, but a legendary endpoint of what the highest end of the market will bear (or would bear before the Chinese started paying $1500 a pop for Lafite too young to drink, and then started drinking it). For pennies on those dollars, I brought the two bottles of Whispering Dove which I snapped up with great curiosity back when they were released for around $30/btl. While every wine opened on this particular evening was well worthy of it’s company, the ’02 Whispering Dove Oakville not only had the most mysterious pedigree of the bunch, but was also 3rd on just about everyone’s blind tasting preference list, and was, by one less experienced taster, mistaken for Scarecrow. To the best of my knowledge, this wine was only produced in 3 vintages from ’01 to ’03, and was very likely different grapes (and likely winemakers) in each release. Rumors that Whispering Dove was in fact declassified Screaming Eagle juice were quickly dispelled, but that didn’t change the marketing boost it got from the false notion. 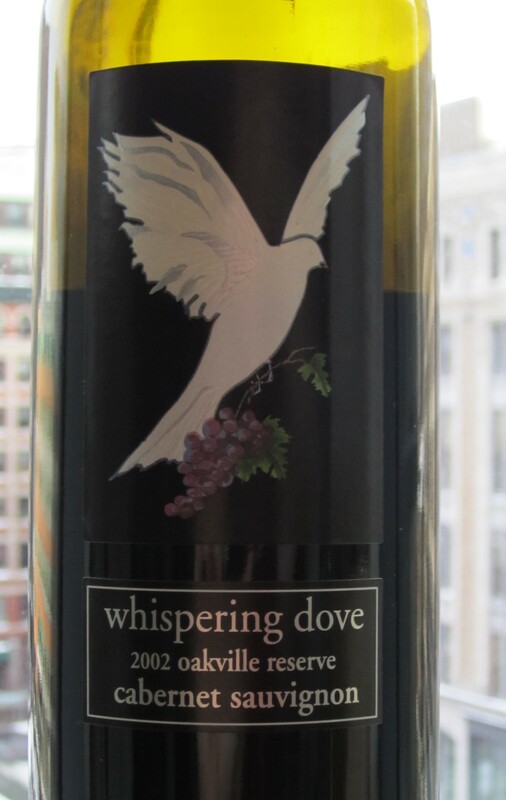 Nor does it change the fact that the 2002 Whispering Dove was most certainly vinified by someone who knew how to handle reserve quality Oakville fruit. And I will likely give my remaining stash another 3 or 4 years before tasting again. Though new labels don't wear his name, Pax Mahle still makes remarkable syrah-based wine. And then there was the obviously out of place ’04 Agharta Syrah, which while cultish, contains no cabernet, and was not part of the blind tasting. Bolstering said cultishness, prior to it’s debut, it was given a 98 point rating by some guy named Bob and before that it was vinified, oaked, aged (58 months! ), and bottled (unfined & unfiltered) by a winemaker named Pax. 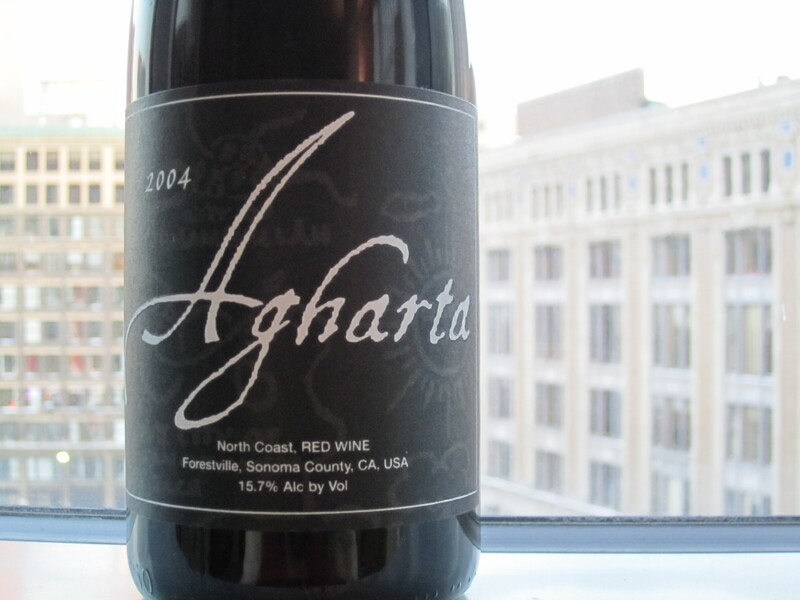 And while Pax himself has said that the just released ’05 is “twice the wine” as is this monsterous and complex ’04 Agharta, he’s almost out of running room on the 100 point scale. 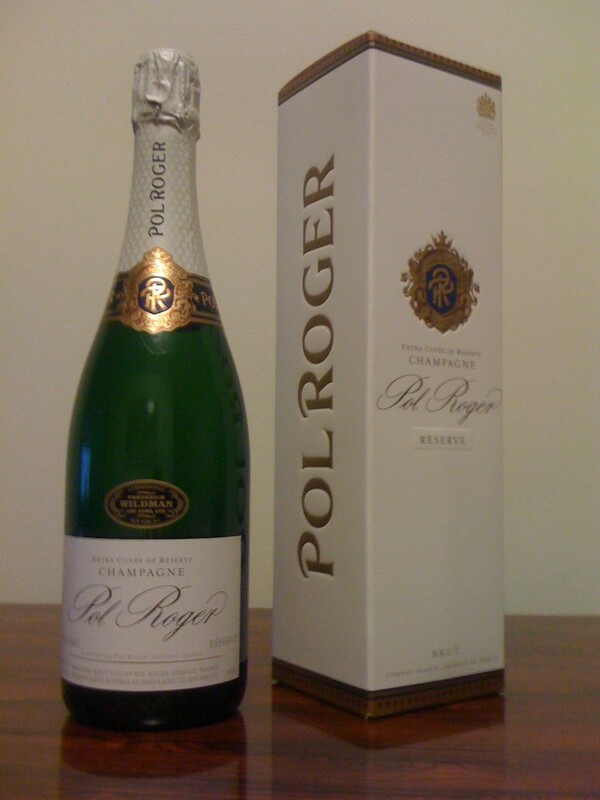 I’ve tasted it on 3 occasions and giving notes would require the transcription of a short novel I haven’t yet written. It’s deeply complex stuff that changes dramatically over many hours of breathing and is an experience in itself rather that something to drink with any nameable specific food stuff. Structurally the experience of this debut Agharta is similar to Sean Thackrey’s Orion in that the sheer number of flavors per breathing time makes these wines infinitely faceted (and fascinating) gems. Looking forward to following the evolution of these bottles over the next decade or two. Like Agharta, the depth of SQN Mr K wines crush the feeble descriptives of the written word. And I don’t mean to disparage Chateau d’Yquem. There’s a reason it has the reputation it does. Yquem has been producing some of the words finest sweet white for centuries. By the time Jacques Sauvage was granted feudal tenure over Yquem in 1593 special growing techniques and late harvesting were already in practice and the estates finest vintages live for over a century. Very few estates, winemaking or otherwise enjoy such a rich history, which certainly comes with a hefty per bottle tariff, here in the future. For my dollar, if I’m going to spend way too much money on a half-bottle of sweet white, it’s more often going to be a 6 puttonyos tokaji, essencia, or something on which the Austrian genius, Alois Kracher, once had his hands. 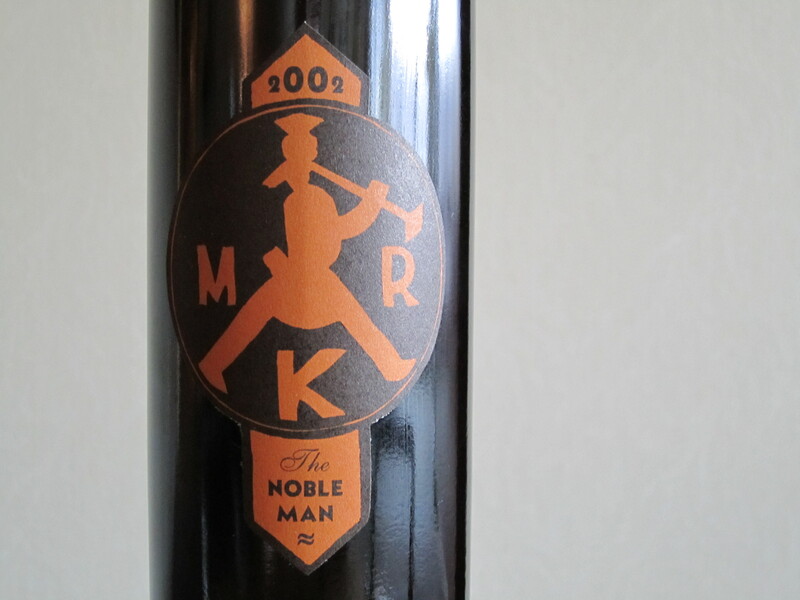 Speaking of which, our final wine of the evening was Sine Qua Non Mr K The Nobleman 2002. The Mr K series was a partnership of Sine Qua Non proprietor Manfred Krankl and the aforementioned Kracher, which ended abruptly upon Kracher’s untimely passing. Kracher’s family continues to produce the eponymous wines that made him famous. While the SQN Mr K The Nobleman 2002 (Chardonnay) is one of the lighter, thinner wines ever produced under this label, it is still a beautiful, balanced, nuanced, (almost) unreasonably honeyed joy to sip. The ’02 Nobleman is only “lesser” in the way that a mediocre Radiohead record is still worlds better than all of the crap on the radio. 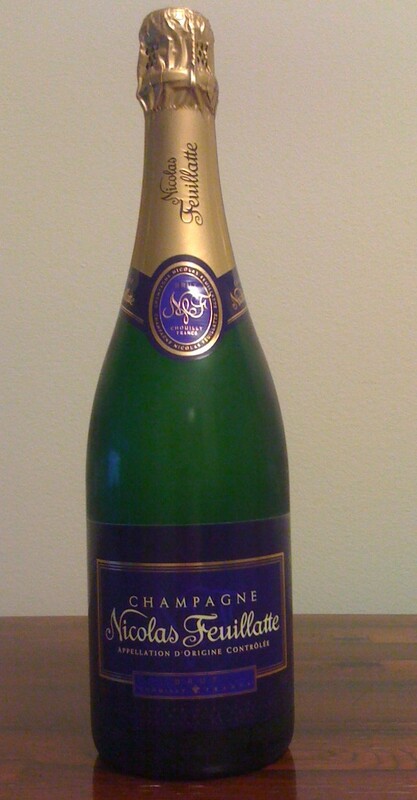 This golden wine is a treat on it’s own, but pairs well with a range of cheeses and non-chocoalte desserts, and with residual sugar at this level, the remaining wines may outlive many of us. Few partnerships have ever created such beauty.